In 2016, the AMA Innovation Lab and the National Bureau of Economic Research (NBER), hosted a conference to highlight cutting-edge research across multiple disciplines on the mechanisms that keep people trapped in poverty. 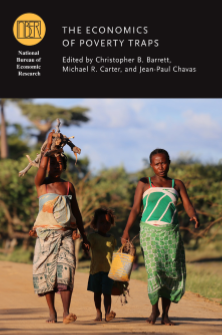 The November 2018 launch of the new book The Economics of Poverty Traps (U. of Chicago), expands the discussion on what perpetuates poverty and draws practical conclusions on how we can better design, target and evaluate development policies and interventions to create escapes and promote resilience. The more we know about poverty traps, the better positioned we will be to design resilience-building programs and policies to overcome them. Draw attention to new research on human capabilities and aspirations. Failure to acknowledge these complex elements may lead to less effective policy efforts and wasted scarce resources. Demonstrate how resilience and risk overlap creating effects both vicious and virtuous. Designing multi-faceted interventions so only the positive impacts are amplified is essential to sustainable development. Delineate further implications for the design and evaluation of policies and programs intended to create poverty escapes and build resilience among vulnerable populations. By sharing these lessons learned with the development community, we hope to contribute to the strengthening of resilience programming and policy impacts. Chris Barrett is an agricultural and development economist, the Stephen B. and Janice G. Ashley Professor of Applied Economics and Management, and an International Professor of Agriculture, all at the Charles H. Dyson School of Applied Economics and Management, as well as a Professor in the Department of Economics all at Cornell University. Protecting the most vulnerable requires interventions both for those trapped in poverty but also those who are on the cusp and may slide downwards. Economic, social, and psychological feedback loops can create both vicious circles perpetuating poverty, and virtuous circles that can help eradicate it. This underscores the importance of supporting multi-faceted and holistic interventions that build capabilities and psychological assets in conjunction with tangible productive assets and other resilience building mechanisms. 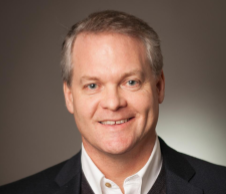 Michael R. Carter is a professor of agricultural and resource economics at the University of California, Davis and directs the BASIS Assets and Market Access Innovation Lab and the Index Insurance Innovation Initiative (I4). 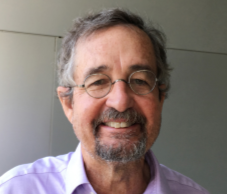 Carter is a fellow of NBER, BREAD and the American Agricultural Economics Association, and has served on advisory boards for numerous academic journals and international development NGOs. Resilience has emerged as an organizing concept for development policy and programming. This lunchtime presentation will trace the history of resilienceoriented development programing, what difference it makes, and why it continues to guide development efforts in areas prone to recurrent crisis and beyond. 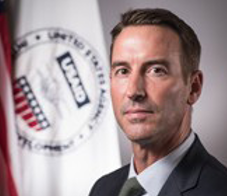 Greg Collins is the Acting Deputy Assistant Administrator in the USAID Bureau for Food Security, which leads the U.S. Government’s global hunger and food security initiative, Feed the Future. In this role, he oversees strategic direction and implementation of Feed the Future programs in the field, and the USAID Center for Resilience. He also serves as the Agency’s Resilience Coordinator. The intergenerational transmission of poverty often occurs through low levels of investment in education and nutrition. Conditional cash transfer programs and other development interventions specifically aim to increase human capital investment by the poor and to maintain such investments when shocks occur. Designing interventions so that impacts are amplified by affecting parents’ aspirations through social interactions with successful local leaders, can help sustain their impact after transfers end. 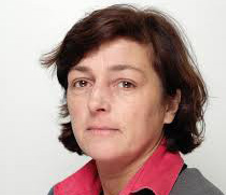 Karen Macours is an Associate Professor at the Paris School of Economics and a researcher at INRA. She is the chair of the Standing Panel on Impact Assessment of the CGIAR, a board member and co-lead of the health sector of JPAL, a BREAD fellow and CEPR affiliate. Human capital, including education, health and nutrition, has played a key role in the research of poverty dynamics. Shocks that affect human capital during early life are thought to push people into poverty. However, research does show that in the face of large-scale natural and man-made disaster, families and communities in low resource settings demonstrate considerable resilience as they seek to mitigate the longer-term impacts of shocks on well-being and adapt in multiple ways to avoid falling into a poverty trap. 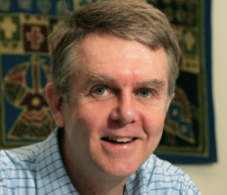 Duncan Thomas is the Norb F. Schaefer Professor of International Studies Professor of Economics at Duke University. He is a fellow, past president and board member of the Bureau for Research in the Economic Analysis of Development (BREAD) and he currently directs the NBER Development Economics program.